TROY – Chris Herren knows what it’s like to have it all and then lose it to the disease of addiction. A former professional basketball player, Herren today shares his journey to find recovery and a refocused life emphasizing sobriety, family and his mission to help others. A decade after leaving drugs and alcohol behind, Herren will bring his story and his hopes of making a difference in someone’s life at 7 p.m. Sept. 13 at Hobart Arena, 255 Adams St., Troy. The evening community program will follow presentations earlier in the day to Miami County students in grades seven through 12. The events are being sponsored by Premier Health/Upper Valley Medical Center and Troy City Schools. 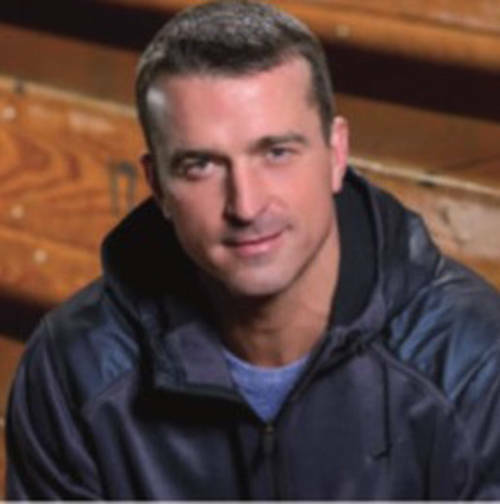 “We are thrilled to be partnering with Premier Health and the Upper Valley Medical Center to bring Chris Herren and his amazing story of addiction and recovery to our community,” said Chris Piper, superintendent of the Troy City Schools. “This is an important message that all parents and students should hear as drug addiction and the opioid epidemic have affected so many families across our region and state. We will continue to educate our students about the dangers of drug use and are thankful to Premier Health for their support of this special program,” Piper said. Herren, a high school basketball star from Fall River, Mass., dreamed of playing for his hometown team, the Boston Celtics. After playing college ball at Boston College and Fresno State, he was drafted by the Denver Nuggets in 1999. He was traded after his rookie season to the Celtics, but his career crumbled because of substance use.